Home » Responsible Research and Innovation (RRI) » How ’Crowdsourcing’ involves experts and patients to define research missions: Broken Bone, anyone? How ’Crowdsourcing’ involves experts and patients to define research missions: Broken Bone, anyone? What if patients and clinical experts could spark and define the direction of multidisciplinary science projects without knowing the scientific literature? The Ludwig Boltzmann Gesellschaft (LBG) — a Austrian research organisation located in Vienna — is currently experimenting with Open Innovation in Science to systematically steer missions for their future research groups. Open Innovation in Science has been a vital part of innovative R&D units in large companies, however the science side of things are just starting to develop. LBG is currently at the forefront of this development. On a larger scale, ‘Mission Oriented Research and Innovation’ as stressed by the upcoming research and innovation framework program ‘Horizon Europe’ will become an important driver for how EU funds will be distributed. One highly ambitioned goal is to tackle large-scale and sometimes wicked problems. Research can be open on a variety of different levels, a crucial step is to identify research questions that can potentially make a difference. In fact, what LBG is aiming at is mission-oriented research — on a smaller scale. A vital part of this approach is experimenting with Open Innovation in Science: Applying methods and techniques to systematically open up the research process. As a research organisation, LBG aims to address complex societal challenges by developing and testing novel forms of cooperation between science and non-scientific actors in a dynamic social environment. Their central hub for implementing their research projects: LBG — Open Innovation in Science Center (established in 2017). Why should patients and experts get involved in research in the first place? We know that patients and experts can become health innovators. Not only in testing medical interventions and sharing medical experiences, but also in becoming inventors themselves. The ’engineer who fixed his own heart’ is just one example of a patient who managed to develop innovative problem-solving medical solutions. By systematically designing an alternative surgery scheme that has now been applied on 141 patients with Marfan syndrome (May, 2018), Tal Golesworthy could show that contributing his own expertise as an engineer can have a major impact on medical treatment. Take a look at some other relevant patient innovation projects presented at the very well curated SPARKS travelling exhibition. On a policy level, it’s important to mobilise and involve stakeholders, end-users and citizens to ’maximise its impact and stimulate a stronger demand for innovative products and services as well as a better grasp of social changes’, as pointed out by the Lamy Report. Future medical research will depend on this interaction in order to improve scientific impact on societal issues. From an implementation perspective, ’advising researchers on research design and planning’ can be one of the potential fields of application for patient involvement, as reported by Clementine Schilte (Project manager of the Center for Translational Science at Institut Pasteur Paris). For this, patients or advocates training is highly important, as this is currently carried out by EUPATI (98 active trained EUPATI fellows) or the newly launched PARADIGM platform. While this approach has been successful for specific health condititions like chronic (i.e. : Inspire project) or rare and undiagnosed diseases (i.e. : PatientsLikeMe platform) — it has yet to be tested in more generic medical conditions like traumatic injuries. „Tell us!“ — about accidental injuries wants to find out about it (until 31st of August 2018). The overall question here is: Can patients contribute relevant research questions to spark new and innovative research on diagnosing, treating and the rehabilitation of accidental injuries? Think of one of the hardest tasks scientists have in their day-to-day work: formulating research questions! Can anyone without explicit scientific knowledge formulate research questions to move science forward? The LBG believes: they can! People hurt themselves everywhere: this can happen during sports activities, while driving by car/ bike or when having an accident at work. At the bottom line: When people become patients, knowledge about accidental injuries accumulates and holds useful information for science. Please contribute to the experiment by responding to the question via the link: What questions about accidental injuries does research need to address? Open Innovation in Science activities can be diverse, but using crowdsourcing to identify research questions is at its’ core. Knowingly, there is a lot of value in the crowds’ experience. 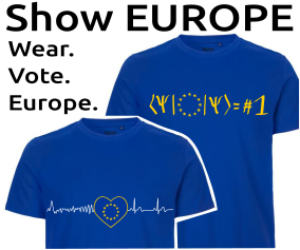 The European Citizen Action Service (ECAS) values the power of the crowd to create a more inclusive and stronger European Union. This is why ECAS is busy supporting „Tell us!“ and helps communicating the project. In fact: communication is key to reach out to the crowd by using modern media to brush the dust off of science. Science is fun and everybody can contribute to it! Broken Bone, anyone?! Open Innovation has arrived in scientific practices, at least at the Ludwig Boltzmann Gesellschaft. These experiences will be highly valuable for mission-setting for future research projects within , but also outside the Ludwig Boltzmann Gesellschaft. Learnings from this innovative approach might also become useful for prospective EU-wide projects going down the same road.